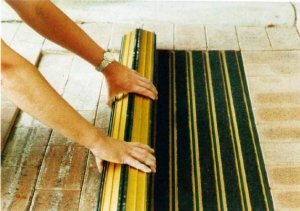 Western Australian made robust designer commercial entrance mat. 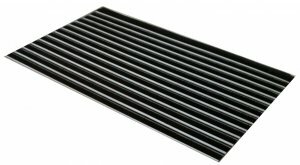 Novatred Entrance Matting is an attractive dirt barrier designed to capture walked-in dirt and moisture at building entrances. Novatred Entrance Matting was developed after years of close involvement in the matting industry. 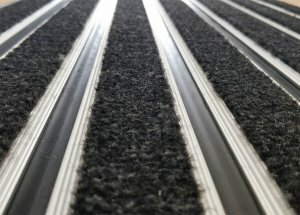 Novatred Entrance Matting was developed after years of close involvement in the matting industry, to provide a designer style mat which gives a soft but sturdy feel underfoot, whilst working to remove both dirt and moisture without the excessive noise normally associated with this type of matting. Novatred 1000: Uses an economical carpet inside (Good UV Resistance) and has a two year warranty. Please contact us for available colours. 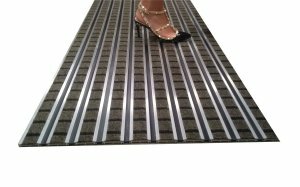 Novatred 2000: Uses high quality nylon cut pile matting insert (excellent clean-off properties) and has a twelve year warranty. This insert improved indoor air quality by checking the circulation of dust. The Tufted Cut pile has the ability to absorb sound also provides a positive contribution to peoples well being inside a building. Novatred 2000 is a cost effective solution which has been supplied and installed in many commercial and residential entrances and proven its beyond our expectations. Novatred 3000: An ingenious combination of small and larger polyamide filaments results in an optimal density. As a consequence dirt and moisture are more effectively stopped and contained, which results in a reduction of cleaning costs. Novatred 3000 has a modern quality design which successfully hides the walk-in dirt and reduces the moisture, protecting the surrounding floor surfaces. The range consists of 10 attractive colours, including a purple and a turquoise. This is suitable for heavy traffic areas. The Novatred 3000 Insert is produced by using solar energy and 33% of the yarns are recycled. The Insert exceeds NCC fire requirements for all classes of buildings, is rated to European standards (EN1307) as “Commercial Heavy” and also tested with excellent results to European standards for slip resistance, colour fastness, dimensional stability and acoustical insulation. more sections of equal dimensions. An aluminium divider T-bar is optional and can be used as a design feature, especially in segmented radiating layouts. 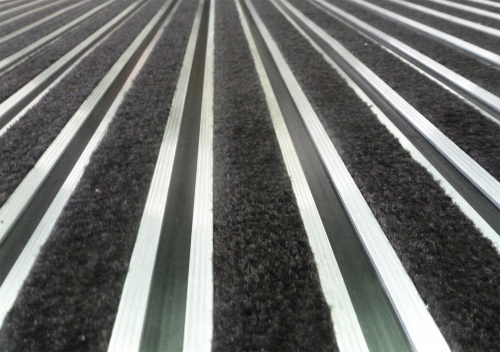 For the most economical and effective clean off zone, a secondary barrier of either loose lay or broad area matting can be added to complement the Novatred primary matting. 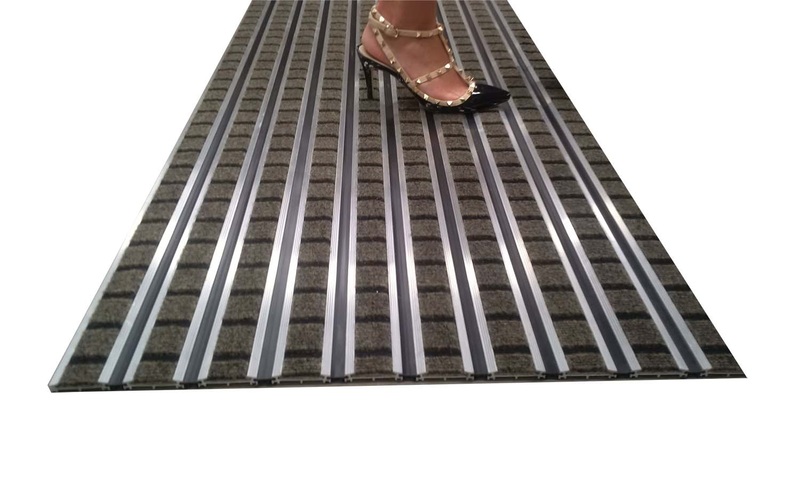 This secondary matting is available in an exact colour (except ribbed rubber) match to the Novatred strips. Novatred 2000 is now manufactured in standard sizes for quick and easy installation. 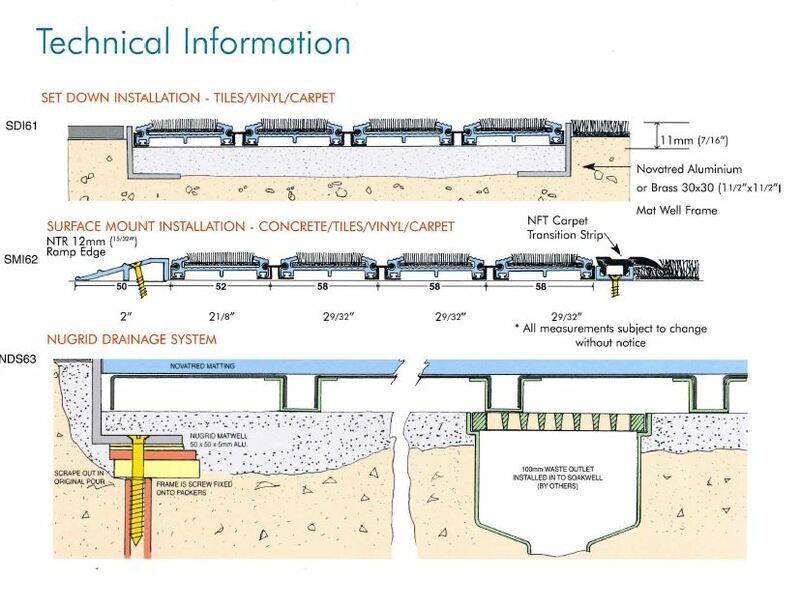 Standard mat measurements are nominal sizes and frame size is to be confirmed time of order. Other stock mats are available. 1. 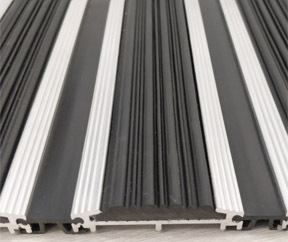 Install Novatred (2000 or 3000) Designer Entrance Matting, constructed of Mill finish or Anodised________ colour aluminium retainer slats, connected by flexible PVC joiners. Inserts are 35mm strips of 100% polyamide cut pile matting of colour _____ selected from Novatred range. Mats should be installed in accordance with manufacturer’s instructions. Available from Novaproducts – Phone 61 8 9455 2228. 2. Aluminium matwell frames shall be Nuframe 25mm x 18mm x 4mm angle with mitred corners and site join angles. Matwell frames shall be fixed to sub-floor to correct finished floor level or floor covering height with Novatred hard finish screed. Recommended by Novaproducts (Brass and Stainless steel are available). <<< NOVATRED 500 GALAXY STOCK ALERT >>> LIMITED COLOUR AVAILABILITY AS MANUFACTURER PRODUCTION IS ENDING. ONLY SELECT COLOURS NOW AVAILABLE. CALL FOR STOCK CHECK. Novatred 2000 also available with rubber insert.